This package is perfect for those with an adventurous spirit but time constraints. Stay outside the town of Churchill at the unique Tundra Buggy Lodge, where you are around the polar bears day and night. Spend your days searching for polar bears and experiencing amazing wildlife photography opportunities, and your nights sharing stories with guests over delicious meals at the lodge. This trip is popular – book early! 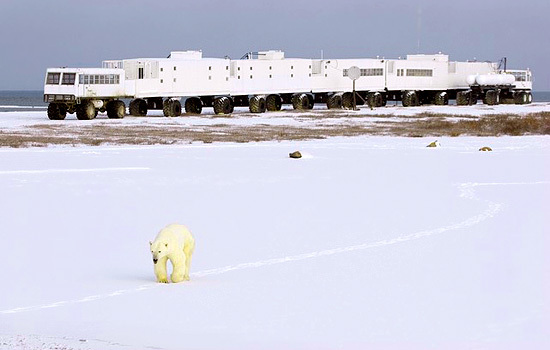 The Tundra Buggy Lodge is a truly unique experience where guests can wake up to the site of polar bears wandering past their window. Climb aboard and immerse yourself in the arctic wildlife on your doorstep, all the while enjoying warm, comfortable accommodation and delicious home cooked meals. Today you will arrive independently in Winnipeg, where the day is yours to explore. Consider visiting the Manitoba Museum, which has nine galleries displaying historical artifacts, or the Royal Canadian Mint to learn about Canadian coins, or strolling down to the Forks, a funky market which is one of the city’s most popular gathering places. 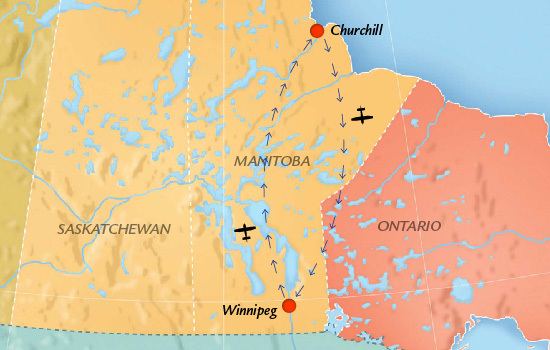 Fly from Winnipeg to Churchill this morning. 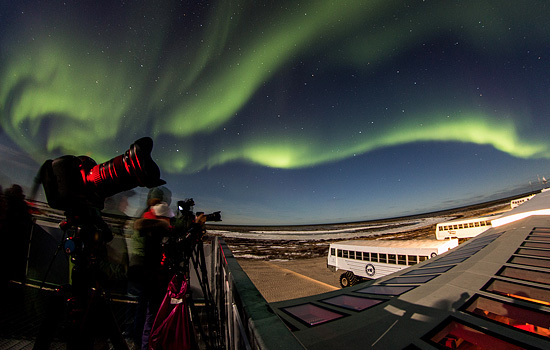 Enjoy some time at leisure in Churchill and in the afternoon, transfer to the Tundra Buggy launch and climb aboard a specially designed vehicle to head out into the tundra. 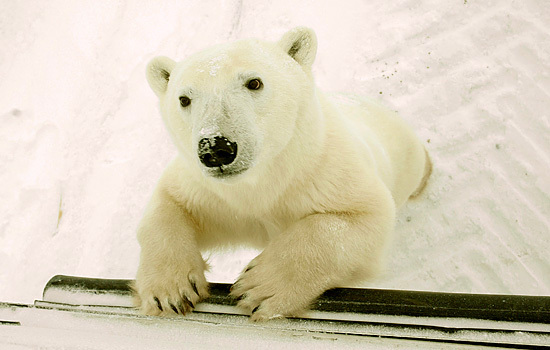 Keep your eyes peeled for polar bear sightings as you cross the tundra on the way to the lodge. Overnight at the Tundra Buggy Lodge. Following breakfast at the lodge, board a Tundra Buggy and spend the day out searching for wildlife – polar bears gather here in the hundreds. This is why you’ve come to Churchill, so be sure to have your camera ready! After breakfast, depart the Lodge and spend the day in a Tundra Buggy. This afternoon you return to Launch and transfer to Churchill. You have some time to explore Churchill before being transferred to the airport for an evening flight to Winnipeg. Much too soon your Polar Bear adventure comes to an end. Depart Winnipeg at your leisure. • Enjoy extra nights in Winnipeg before or after your polar bear tour. • Add extra night on the Tundra Buggy Lodge by choosing alternative departure dates. 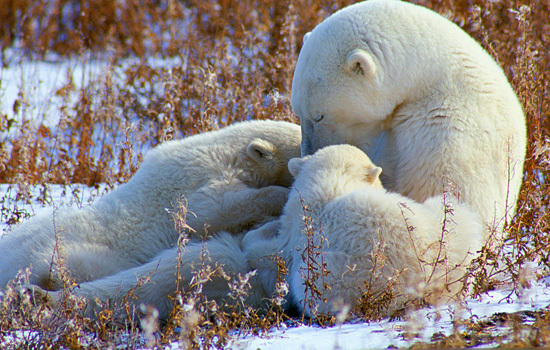 • Make this a truly epic bear tour, and combine your polar bear trip with a grizzly viewing tour. 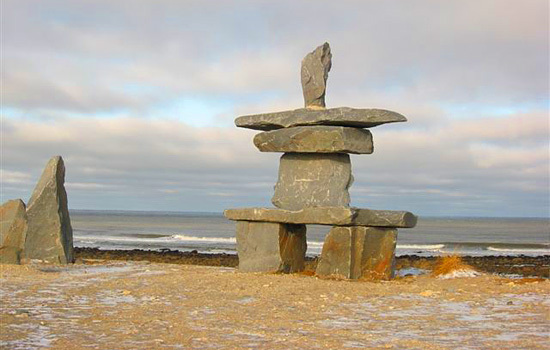 • Upgrade your journey to include a 2 night journey from Winnipeg to Churchill. *Upgrade your journey to include a one-way train trip from Winnipeg to Churchill (2 nights) to make this a 7 day trip. Ask your Vacation Advisor for pricing. 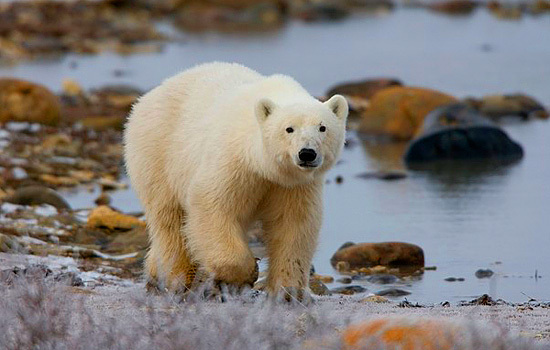 This once in a lifetime Polar Bear Safari takes you to the Canadian Arctic. 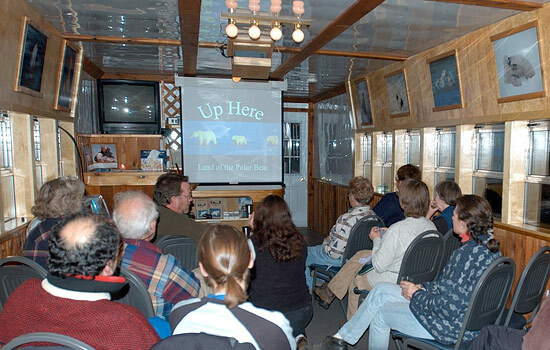 Enjoy cozy accommodations right onboard the Tundra Buggy Lodge, watching Polar Bears at all hours. Once day breaks, you’ll head out to explore the tundra further.